Keith Gaaskjolen, Meadow, South Dakota, bought Lot 5 at $11,500. Chris Effling, Tri-State Livestock News Representative with bull buyer, Irving Jordon, Faith, South Dakota, and Auctioneer Seth Weishaar. 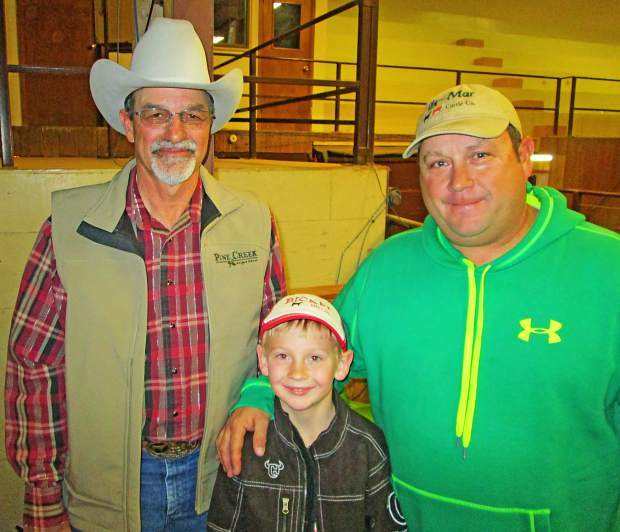 Lyle Weiss with Bryson and Vince Bickel, Gordon, Nebraska. 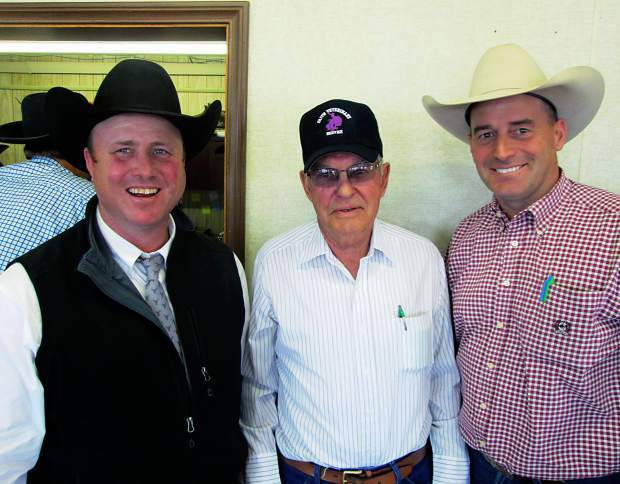 Location: Faith Livestock Commission Co.
Pine Creek Angus Ranch, west of Faith, S.D., is owned by Lyle and Miriam Weiss and their son, Justin and Lacey Weiss. They hosted a nice crowd for their annual sale in Faith. This herd has built its reputation on a very strong maternal cow herd, and has been backed by generations of herd sires purchased at Sitz Angus in Montana. This means females that milk well, have good udders, and they maintain their body condition. Pine Creek owned the herd sire, Sitz Traveler 8180, that has proven himself over and over as a sire of great females. Another bull with a history of great females was Pine Creek Right Time 1147, along with Pine Creek Traveler 124-1107 whose mother was also the mother of 8180. On sale day, the bulls were well-grown, and had great production numbers. There were many calving ease bulls in the offering. Many nationally known AI sires, as well as several home grown sires, were used by Pine Creek to sire these high quality bulls and females for this sale. You will note the high MILK EPDs, along with other top maternal traits in this sale. There was extra demand on the registered heifers in this year's sale. Top selling "bull of the day" honors were share by Lots 3 and 20, with each selling for $12,000. 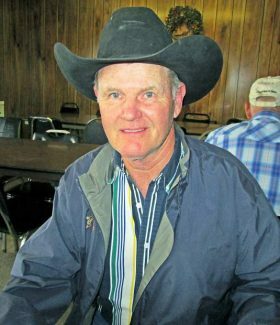 Lot 3 sold to Duane Gray, Ridgeview, South Dakota, and was a son of KG Alliance 1193, the recently deceased resident sire at Pine Creek and Sletten Angus. Lot 3 was out of a cow by Mr JT Power Design 4109 and weighed 86 pounds at birth. He weaned at 782 pounds and posted a yearling weight of 1,457 pounds. His EPDs were CED 6, BW 1.6, WW 67, YW 121, CEM 11, and MILK 28. The Lot 20 bull sold to the good commercial herd of Doug Jensen's JX Ranch, Prairie City, South Dakota He was sired by Pine Creek Consensus 2004, and out of a daughter of Hoover Dam. His EPDs were CED 7, BW 0.9, WW 63, YW 115, CEM 10, and MILK 29. Born at 76 pounds, he weaned at 678 pounds and grew to a yearling weight of 1,361 pounds. He scanned an IMF of 7.53 percent. 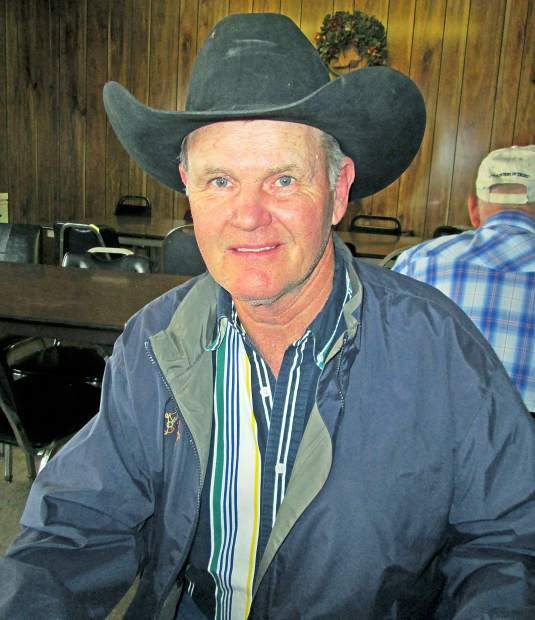 Keith Gaaskjolen, Meadow, South Dakota, purchased a new herd sire in Lot 5 for $11,500. This son of Sitz Investment 660Z was out of a daughter of Connealy Lead On. I really liked the looks of this bull, and his numbers complemented his good physical qualities. He had EPDs of CED 3, BW 2.5, WW 64, YW 120, CEM 7 and MILK 31. With an 88 pound birth weight, he weaned at 693 pounds, and posted a present day weight of 1,413 pounds. His rib eye was 16.6 sq. in. Duane Gray also selected Lot 33. At $10,500, he was yet another son of Sitz Investment 660Z, and out of a daughter of HA Image Maker 0415. He hit the ground at 86 pounds and started growing, with a weaning weight of 681 pounds and a yearling weight of 1,454 pounds. His EPDs were CED 7, BW 1.4, WW 65, YW 126, CEM 9, and MILK 29. He measured a 40.5 cm. scrotal, a 14.9 sq. in. rib eye, and an IMF of 5.95 percent. He had a weight of 1,538 pounds on April 6. John Kari, Bison, South Dakota, selected Lot 1 at $10,000. Sired by KG Alliance 1193, he was out of a daughter of Pine Creek Power Design 7277. His EPDs included CED 7, BW 1.3, WW 68, YW 128, CEM 9, and MILK 29. Born at 84 pounds, he weaned at 747 pounds and posted a yearling weight of 1,438 pounds. His IMF was 5.92 percent. On the registered heifers, Dave Fuoss, Draper, South Dakota, chose Lots 7 and 14 at $5000 a piece. The Lot 7 heifer was by Sitz Right Answer 644Y, and the Lot 14 heifer was a daughter of Sitz Investment 660Z. The Weiss family always offers tremendous food before and after the sale – and the food and hospitality is good when you visit them at their home. Stop by and take a look at next year's prospects. See first hand how these cows take care of their calves. You will be impressed.